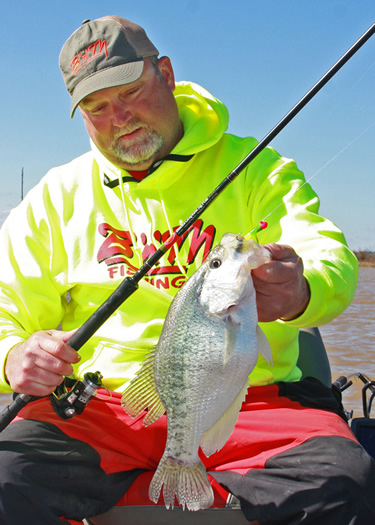 Grenada Lake continues to be the big-fish leader. Fishing pressure is intense but regulations help the lake survive. If you want a high percentage shot at a 3-plus pound crappie, this is the lake. Washington is an easy lake to fish making it a popular destination with plenty of heavyweight opportunities. Number three Sardis may surprise fishermen but the numbers, along with an up-cycle of super-size fish, earns it a spot near the top. Kentucky Lake is another body of water on an up-cycle with better size and number catch reports in early 2017. D’Arbonne, would have been higher had it not been for a winter drawdown allowing local anglers to pound the big crappie. However, it is still producing good numbers of quality fish and offers a wide variety of fishing tactics.